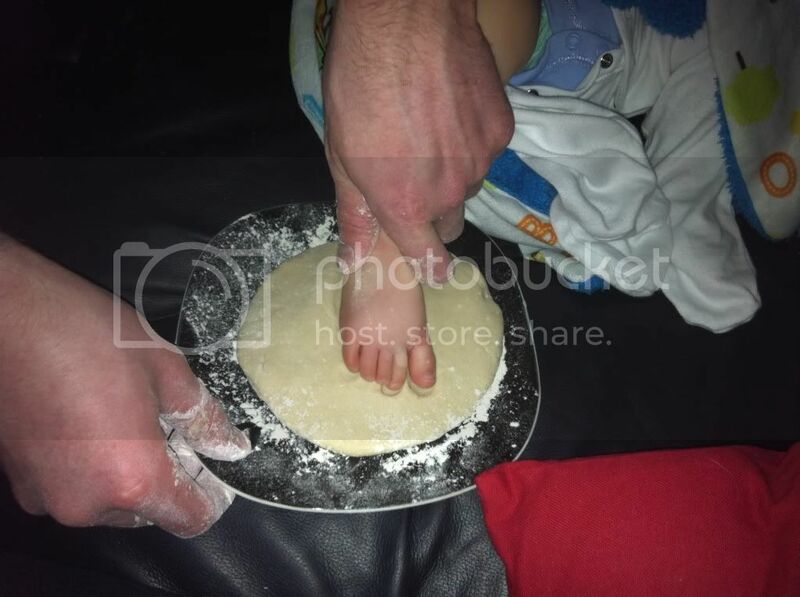 Quite a few weeks ago, Deborah over at Super Busy Mum posted about how she made a salt dough footprint of her daughter's feet. It looked fab so I wanted to give it a go with C.
Ours could have turned out better but I'm happy enough with it! If you want to have a go yourself, you can find Deborah's original post here. 4 comments on "Getting Crafty! 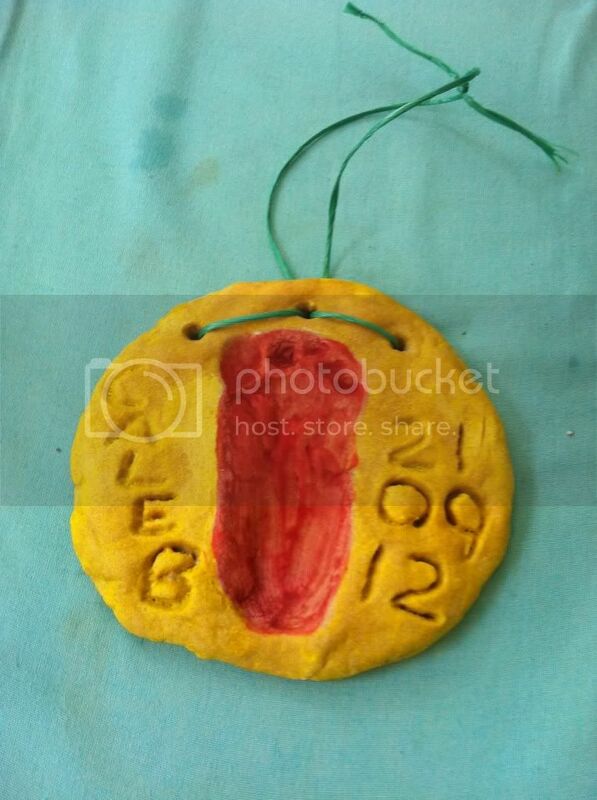 - Salt Dough Keepsakes"
Love it! Such a fab job! Its such an easy recipe to put together! Although the fiddly part is getting the impression! Took me 3 attempts with mine, lol!